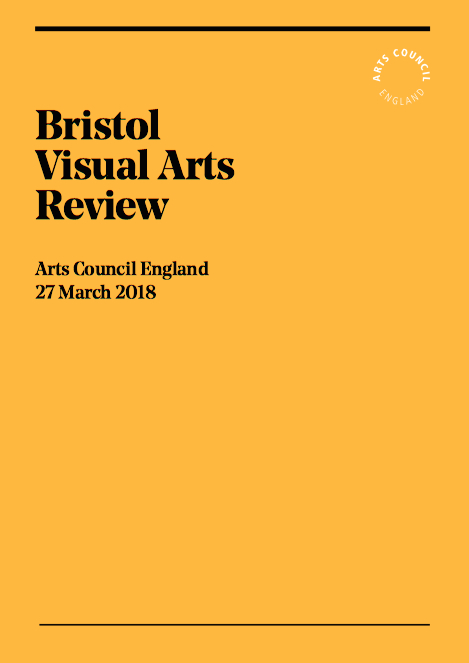 Written by Artangel’s James Lingwood and Henry Moore Foundation director Godfrey Worsdale, who were asked to analyse the needs of the visual arts sector in Bristol, and make recommendations for investment. Report finds “Bristol revealed a dynamic, complex and fragile visual arts ecology with a palpable energy”, but notes that it “adds up to less than the sum of its many parts.” Makes recommendations that includes a programme of internationally significant visual art; that a recurring two year visual arts festival of some kind should be initiated; and greater investment in the professional development of artists at all career stages. Also contains the ACE response to the report.